Running an auto repair shop has many challenges. These include being able to locate parts for various imports, like Hyundai Tiburon parts. Not to mention that Hyundai Tiburon owners tend to love their little compact coupe, thus adding to the importance of being able to find the right Hyundai Tiburon parts to finish the job. Or, if you handle your Tiburon's repairs yourself, then you know exactly how hard it can be to find the right Hyundai Tiburon body parts for your car. But now, there's a better way to find the exact parts you need for your repairs. It's the parts locating service provided by UNeedAPart.com. UNeedAPart.com works with over 7,000 auto parts suppliers, so the chances of locating your Hyundai Tiburon parts are greatly increased. One of the advantages of being able to search among the inventories of so many parts suppliers is that virtually every Hyundai Tiburon part can be located. It doesn't matter if you own a classic Tiburon and you need old Hyundai Tiburon body parts or you have one of the newer models of the Tiburon, you can find the parts you need on UNeedAPart.com. From simple parts like a Hyundai Tiburon front clip to larger parts like Hyundai Tiburon body parts, UNeedAPart.com will match you up with the parts dealer who has it currently in stock. No part is too small or too large. We can even locate Hyundai Tiburon engines! Whether you're a professional mechanic or you do your repairs in your own garage, everyone can benefit from the comprehensive parts locating services of UNeedAPart.com. 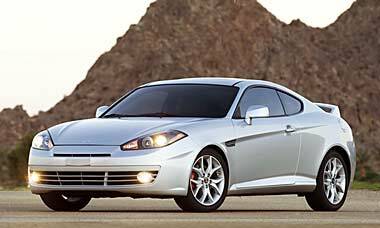 Finding the right Hyundai Tiburon parts is easy! To get started, simply use the Parts Request boxes at the top and/or side of the page. You will be matched with auto parts dealers that meet your search criteria. UNeedAPart.com helps you find the new or used auto body parts you need in no time!